We stoke ten-foot blazes, rake red-hot coals and char our hand-raised barrels to craft every drop of Jack Daniel’s Old No.7 Tennessee Whiskey. But that’s only the beginning. Because it’s then that we expertly blend it with fiery hot cinnamon liqueur to create Jack Daniel’s Tennessee Fire. The result is an exceptionally smooth flavour with a delicious finish. And that’s why we like to say it takes fire to make Jack, and Jack to make Fire. We do things a little differently around here – and that’s what gives Jack Daniel’s its distinctive character. We Charcoal Mellow our whiskey drop by drop, then let it age in our own handcrafted barrels. And we don’t follow a calendar. Our Tennessee Sippin’ Whiskey is ready only when our tasters say it is. We use our senses, just like Jack Daniel himself did. In fact, more than a century later, our Tennessee Whiskey is still judged the same way. By the way it looks. By the way it smells. And of course, by the way it tastes. Jack Daniels Master Distiller #1 is the first in a new limited edition series from the makers of Jack Daniel’s Tennessee Whiskey. The package highlights the “Golden Age of Jack Danie” when Mr. Jack’s recipe and quality craftmanship practices were born. Gold foil accents hightlight the label and neck band. The side labels tell the story of how the legend was born and how Mr. Jack’s philosophy of “Every Day We Make It, We’ll Make It The Best We Can” still holds true today. Tennessee Fire is first and foremost a cinnamon liqueur. 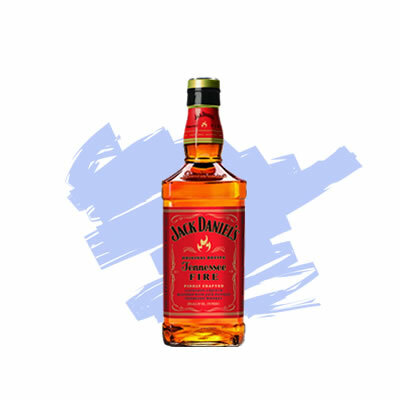 The bouquet on Jack Daniel’s Tennessee Fire is sweet candy red hots, atomic fireballs, and Hot Tamales – pure candy in a glass. Underneath the overwhelming candied cinnamon is vanilla and sugar. It takes a herculean effort for the bouquet to get through all that to any semblance of the whiskey below, which only reads like a faint oak note. The entry for Jack Daniel’s Tennessee Fire is sweet and spicy. The candied cinnamon from the bouquet is right there on the palate. The finish is long and very sweet with the candied cinnamon gently fading on the palate. 1. Combine the cinnamon liqueur, Irish cream liqueur and chilled coffee in a shaker filled with ice. 2. Shake vigorously for 8 to 10 seconds. 3. Strain into a martini glass using an ice strainer. 4. Garnish with the whipped cream, and chocolate shavings.